Shadow Shot Sunday is brought to you by Hey Harriet. The Lady in the Shadow. St. Michael's Cemetery, East Elmhurst, N.Y. The stone statues in cemeteries are very eerie at times. Lovely shot. What a lovely shadow shot! 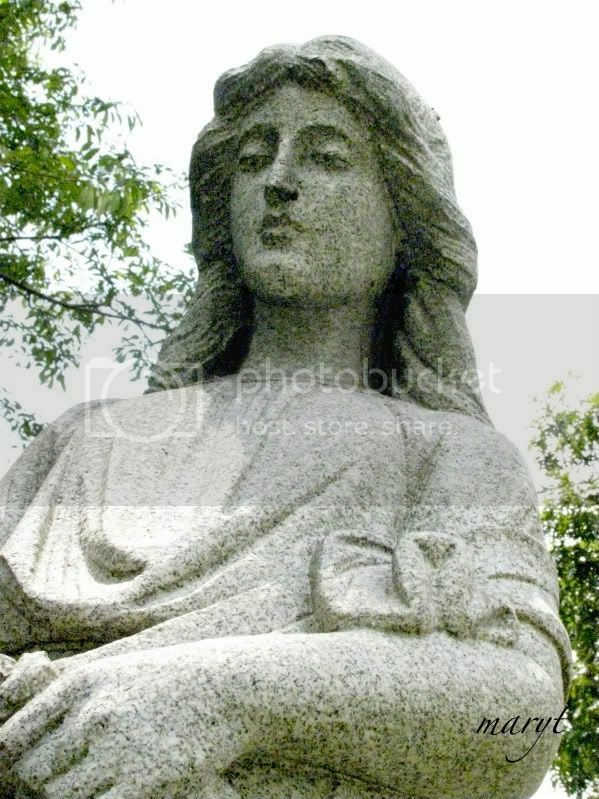 Not many stone statues have beautiful faces, but this one does! I love the natural graininess of the marble. Cool shot. I love your 'lady in the shadow' very much! She's lovely!